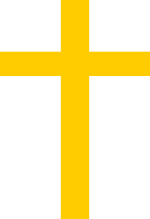 After the suppression of Catharism, the descendants of Cathars were discriminated against, at times required to live outside towns and their defences. They retained their Cathar identity, despite their reintegration into Catholicism. 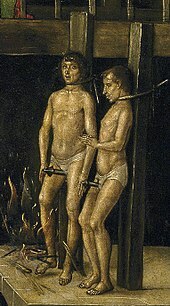 As such, any use of the term "Cathar" to refer to people after the suppression of Catharism in the 14th century is a cultural or ancestral reference, and has no religious implication. Nevertheless, interest in the Cathars, their history, legacy and beliefs continues. 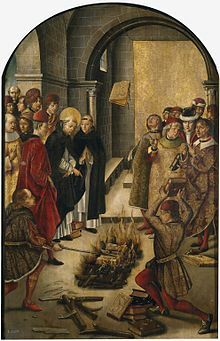 In recent popular culture, Catharism has been linked with the Knights Templar, an active sect of monks founded during the First Crusade (1095-1099). This link has caused fringe theories about the Cathars and the possibility of their possession of the Holy Grail. ^ of Heisterbach, Caesarius (1851), Strange, J (ed. ), Caesarius Heiserbacencis monachi ordinis Cisterciensis, Dialogus miraculorum, 2, Cologne: JM Heberle, pp. 296–8, Caedite eos. Novit enim Dominus qui sunt eis . Caesarius (c) was a Cistercian Master of Novices. ^ "Narbonne : les chevaliers cathares de Pech Loubat dans le top 15 des aires autoroutières "immanquables" !". L'Indépendant (Pyrénées-Orientales) (in French). 3 May 2016. Retrieved 19 February 2019. Alphandéry, Paul Daniel (1911). "Albigenses" . In Chisholm, Hugh (ed.). Encyclopædia Britannica. 1 (11th ed.). Cambridge University Press. pp. 505–506. Conybeare, Frederick Cornwallis (1911). "Cathars" . In Chisholm, Hugh (ed.). Encyclopædia Britannica. 5 (11th ed.). Cambridge University Press. pp. 515–517. Pegg, Mark (2006), "Heresy, good men, and nomenclature", in Frassetto, Michael (ed. ), Heresy and the Persecuting Society in the Middle Ages, Studies in the History of Christian Traditions (129), Leiden: Brill, pp. 227–39 .